Our next hui is on Wednesday, 5th December 2018 in recognition of the UN International Volunteer Day. 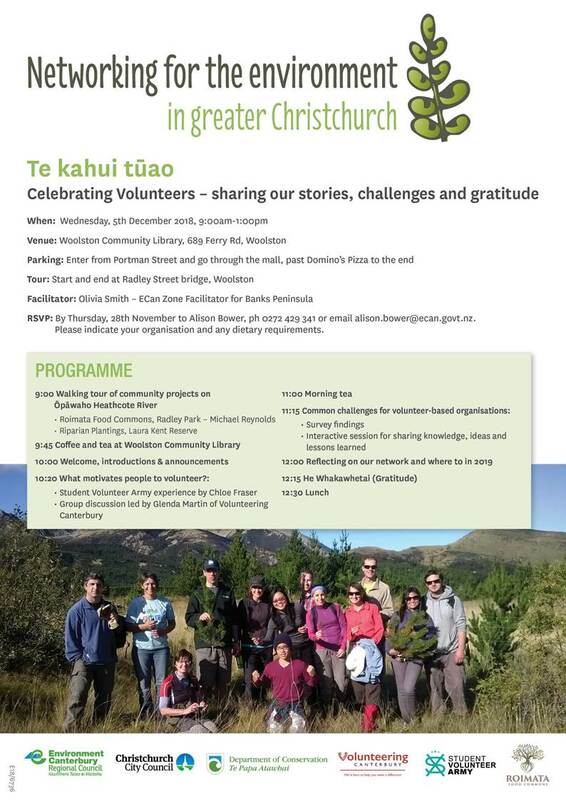 The objective of this hui is to acknowledge your volunteering efforts, share stories and work on common challenges. The day is expanded a wee bit from our usual format. Please come to all or part of the day as your schedule permits.